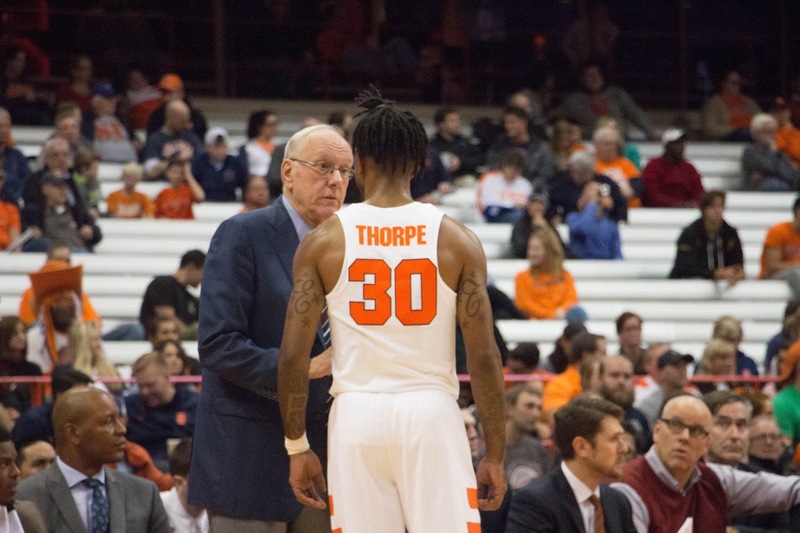 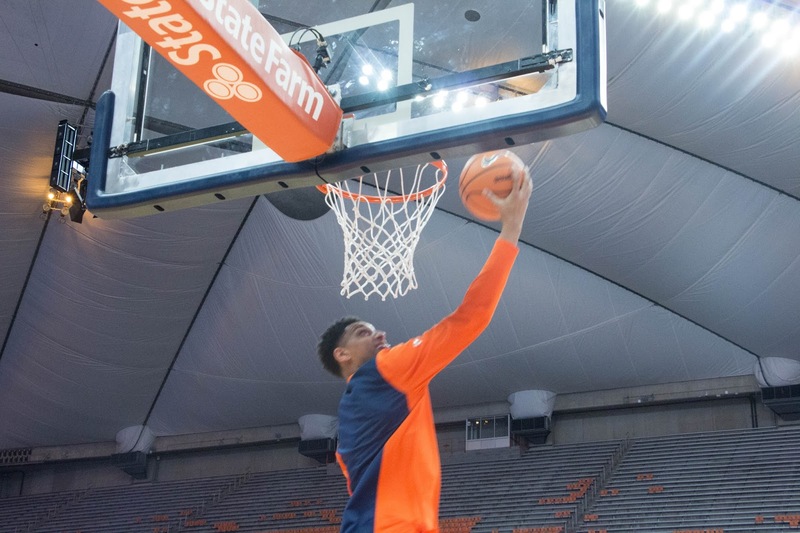 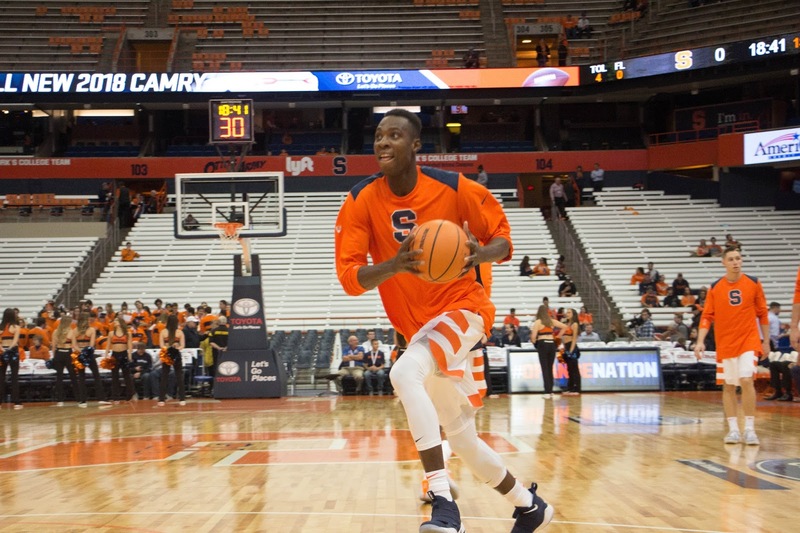 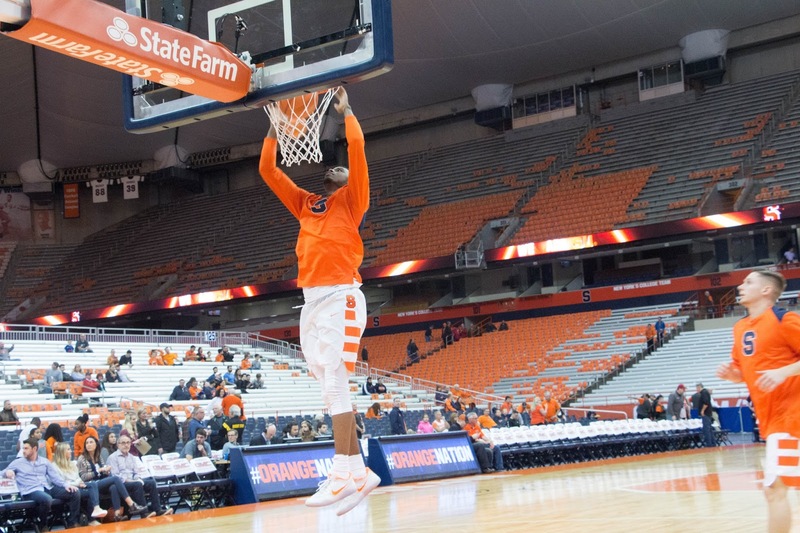 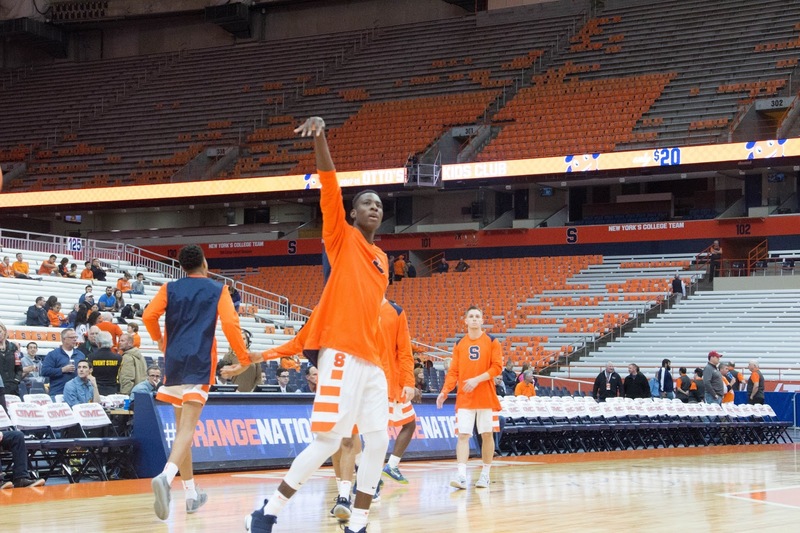 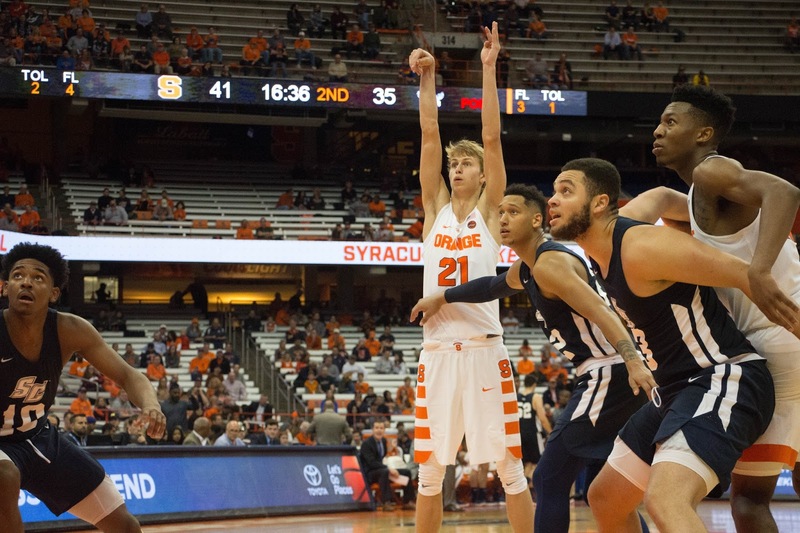 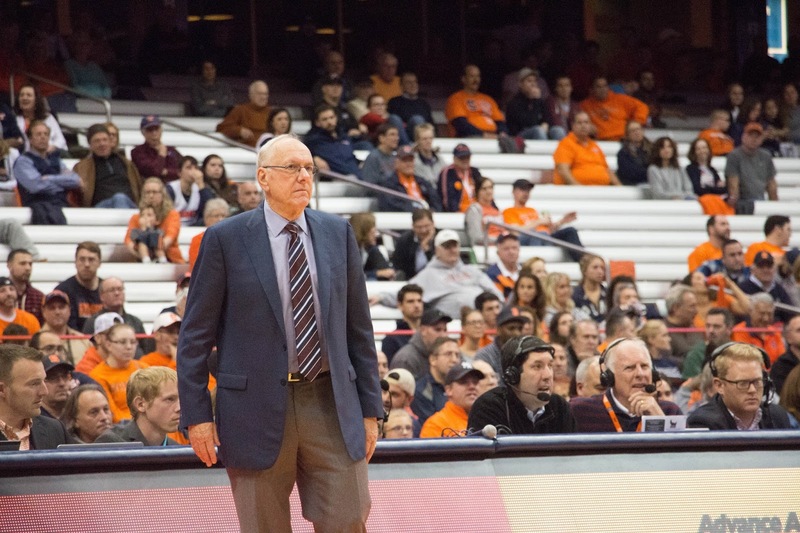 SYRACUSE, N.Y. — The Syracuse Orange blew out the Southern Connecticut State University Owls despite a slow start, 84-59 at the Carrier Dome in its final exhibition game, Monday night at the Carrier Dome. 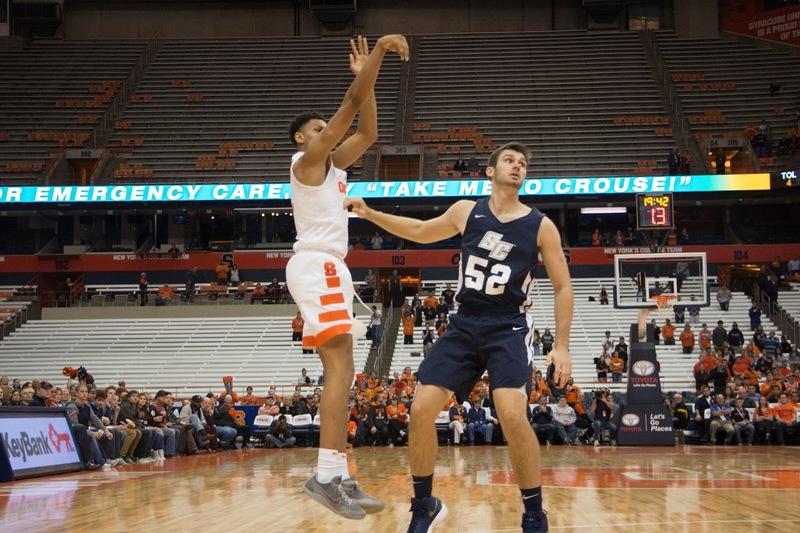 It was the second straight blowout victory against a division II opponent for the Orange, but also the second straight game the offense was out of sync to start off, as the Orange trailed for the entire first half. 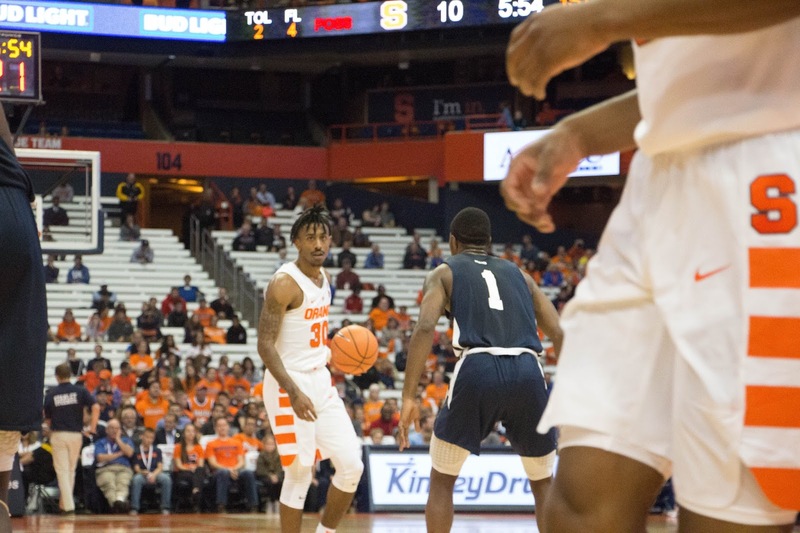 Southern Connecticut came out the locker rooms with more energy to start the game, collecting five offensive rebounds and forcing three turnovers as they jumped out to an early 11-0 lead. 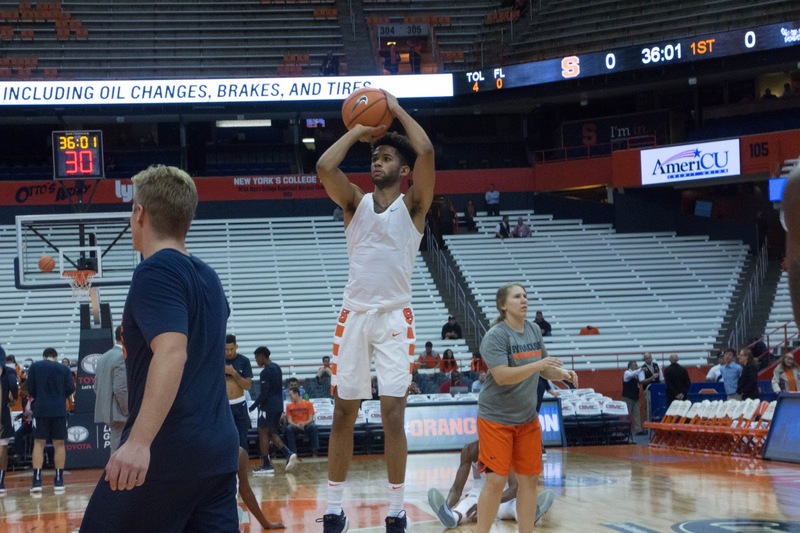 It wasn’t until more than four minutes had already gone by that the Orange scored its first points of the game, when Oshae Brissett gathered a missed three-pointer by Tyus Battle and laid it in for the bucket and a foul. 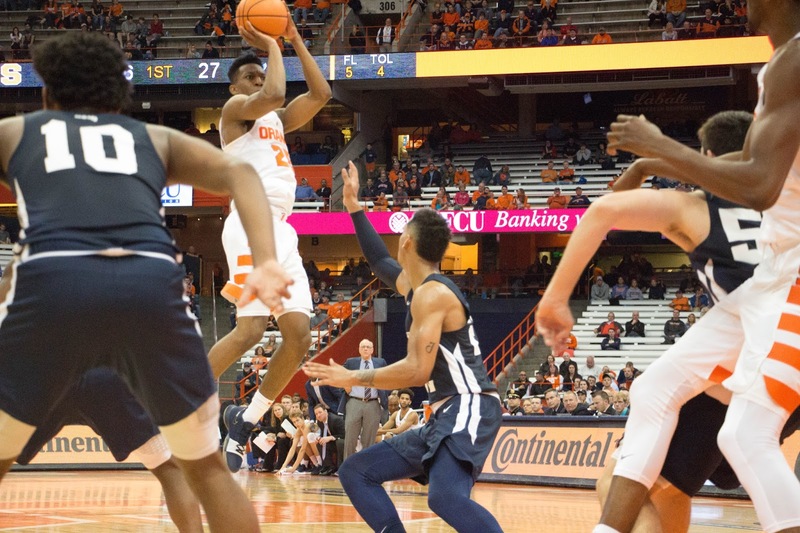 The Owls wouldn’t let up, however, as they built their lead to 15 points with the score at 27-12 and just over five minutes left to play in the first half. 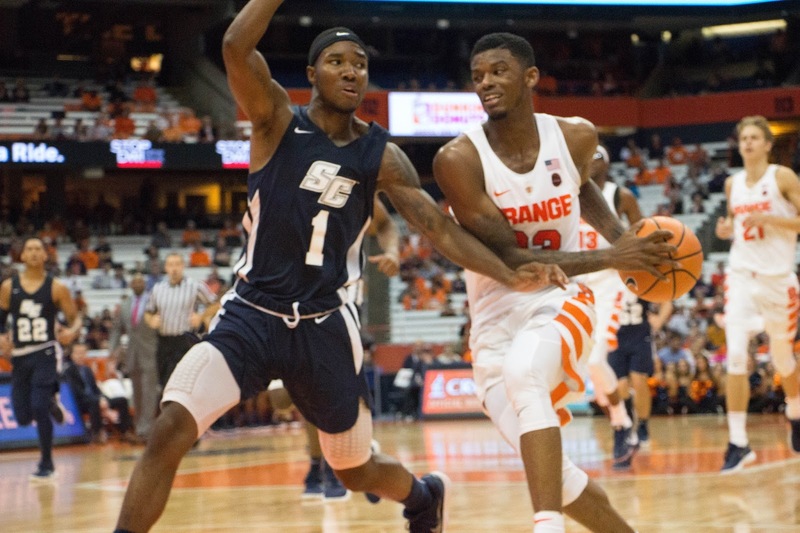 Junior guard Isaiah McLeod led the way for the Owls, with 10 first-half points. 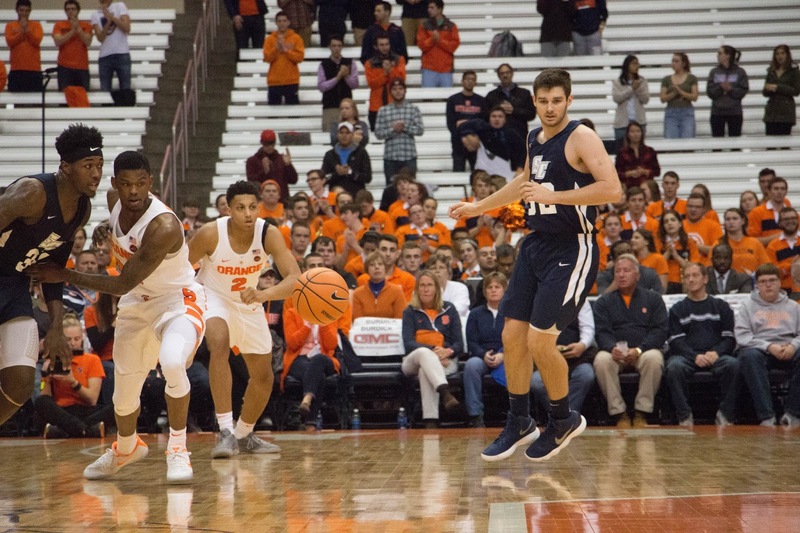 With the offense failing to consistently score, Syracuse switched to its full court press defense hoping it would spark the offense as it did in the last game for the Orange. 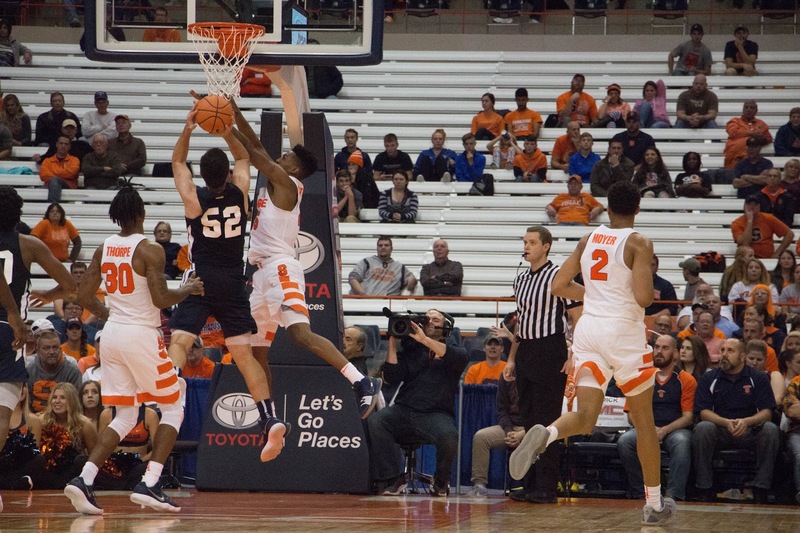 While the defense was effective, it didn’t provide the spark on offense Syracuse was looking for. 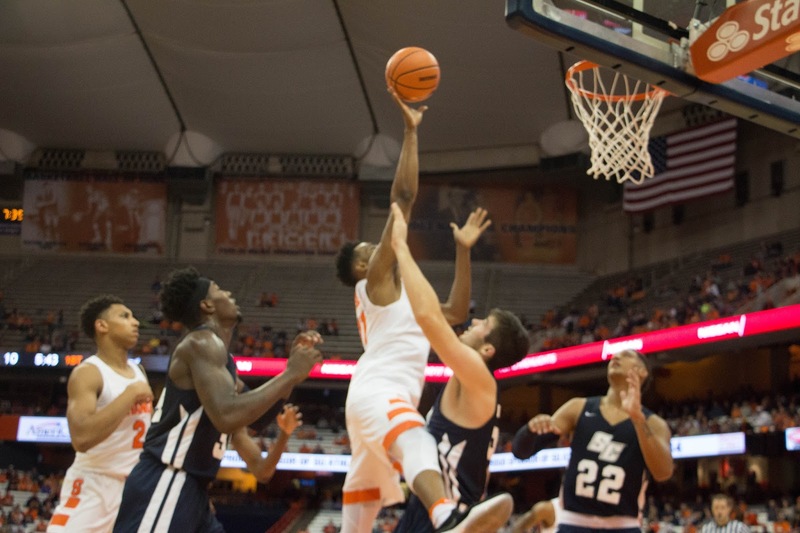 The Orange forced 20 turnovers on the night, but only converted them into ten points. 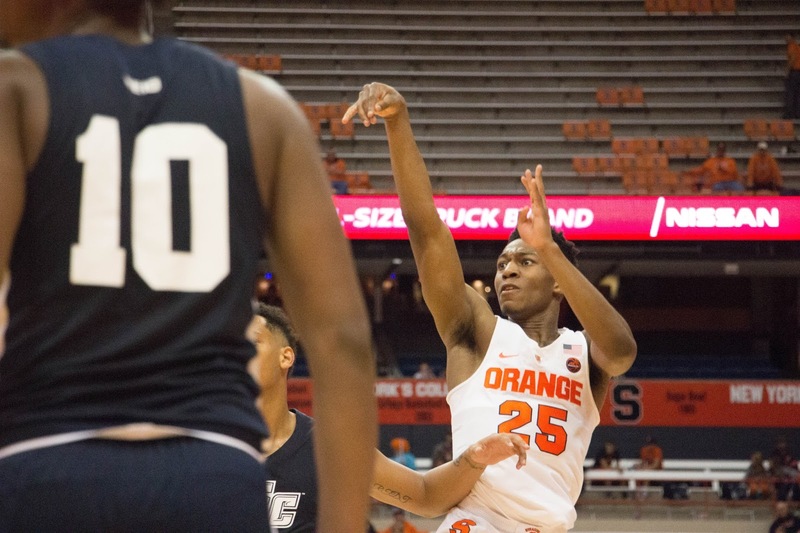 The Orange also blocked 11 shots for the game, led by freshman Bourama Sidibe with five. 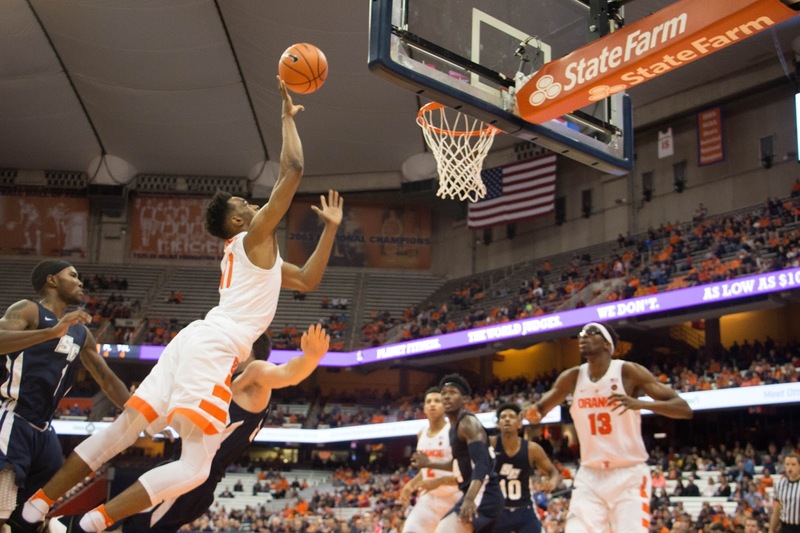 Syracuse didn’t do anything well in the first half and trailed the Owls in almost every statistical category, with Boeheim taking notice of rebounding in particular. 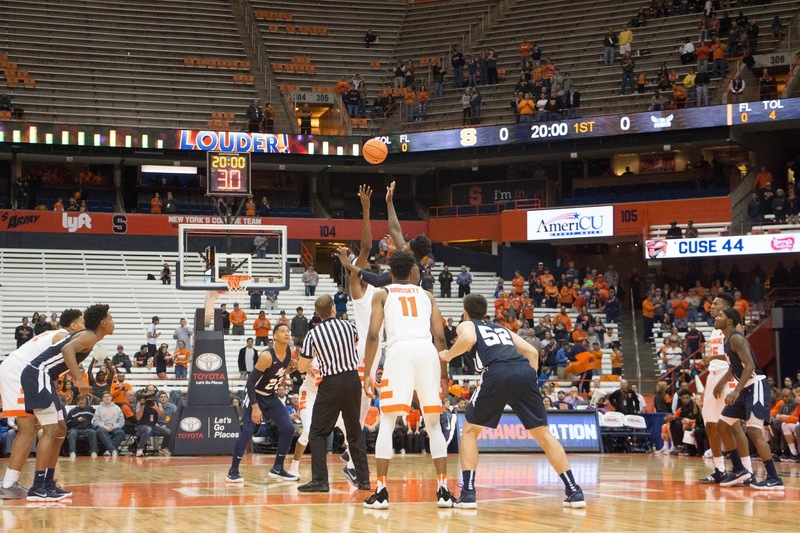 In the second half, Syracuse came out a different team. 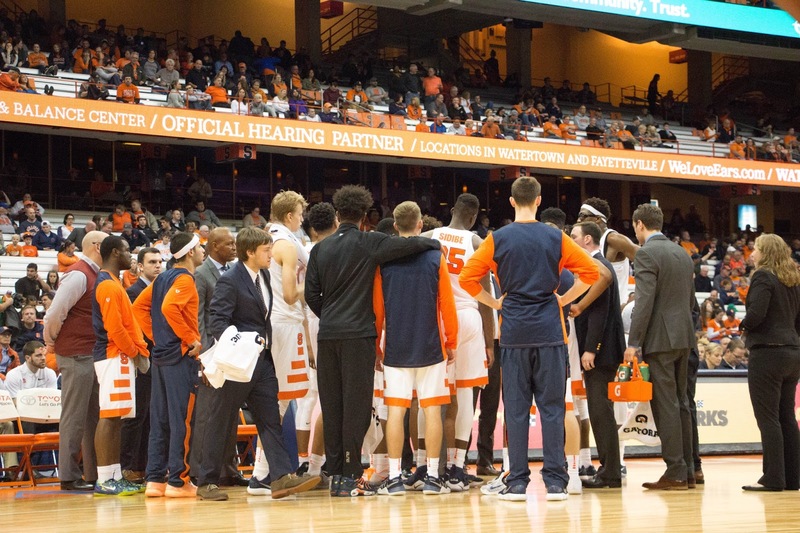 The Orange built on the momentum at the end of the first when SU finished on a 9-0 run. 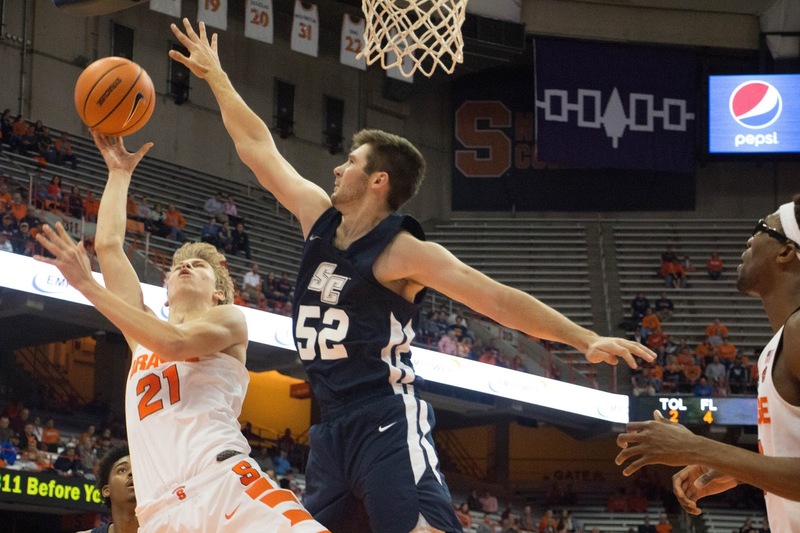 The Orange started the second half on a 14-3 run to overtake the lead and never looked back as the rout was on. 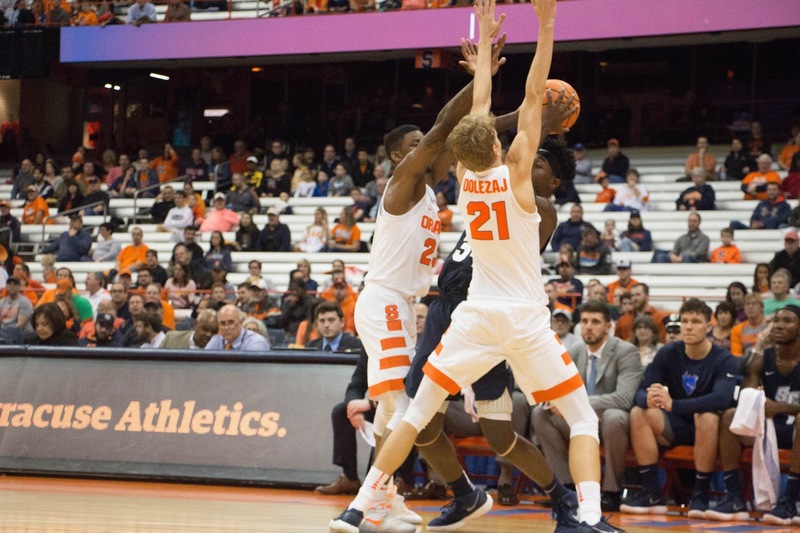 Syracuse more than doubled its first half point total of 24, scoring 60 in the second half on a much in improved 57-percent shooting from the field. 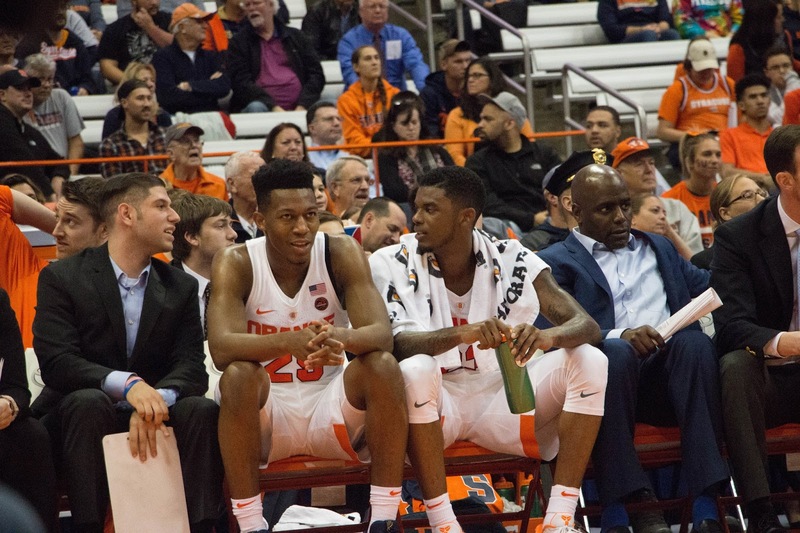 It was a rough night shooting the ball for sophomore guard Tyus Battle. 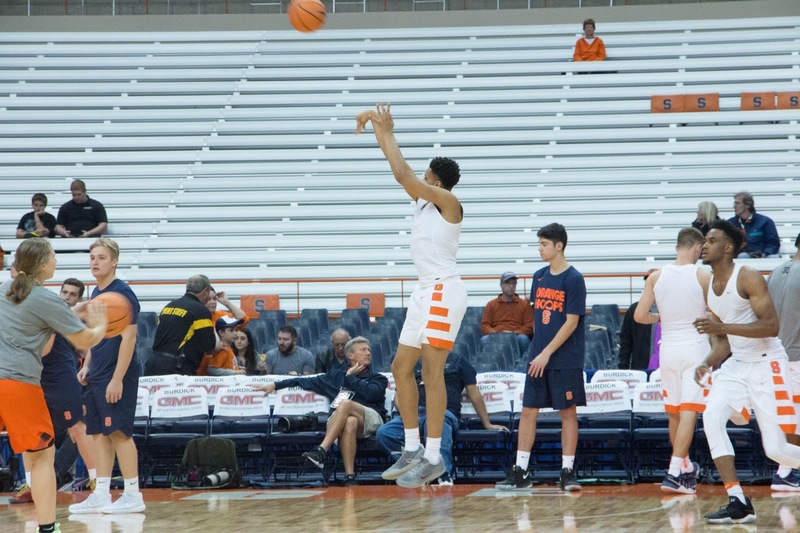 He shot just 26 percent from the field on 4 of 15 shooting. 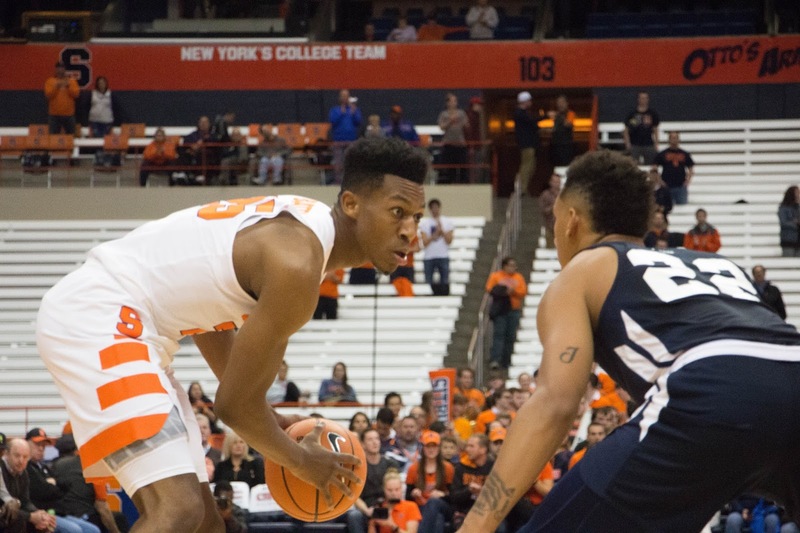 Battle still led the Orange in scoring with 20 points thanks to a solid night at the free throw line where he went 10 for 10. 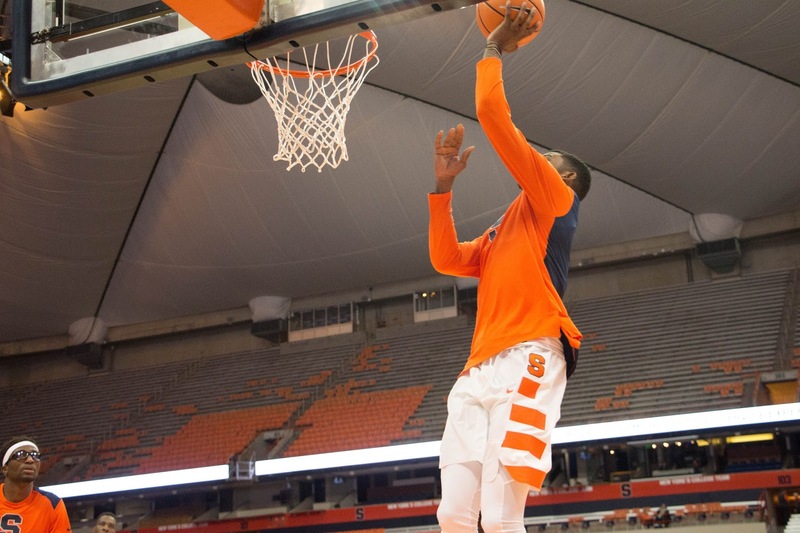 Junior guard Frank Howard finished second in scoring for the game with 19 points for the Orange. 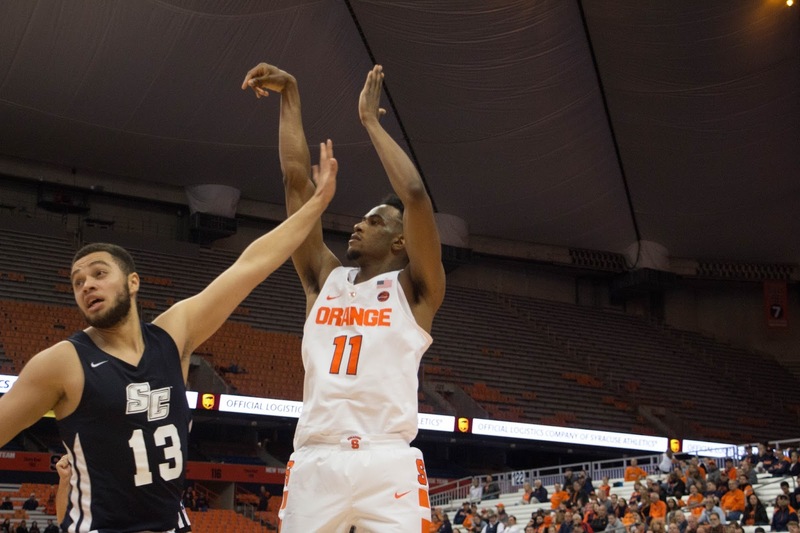 Isaiah Mcleod paced the Owls with 18 points before fouling out. 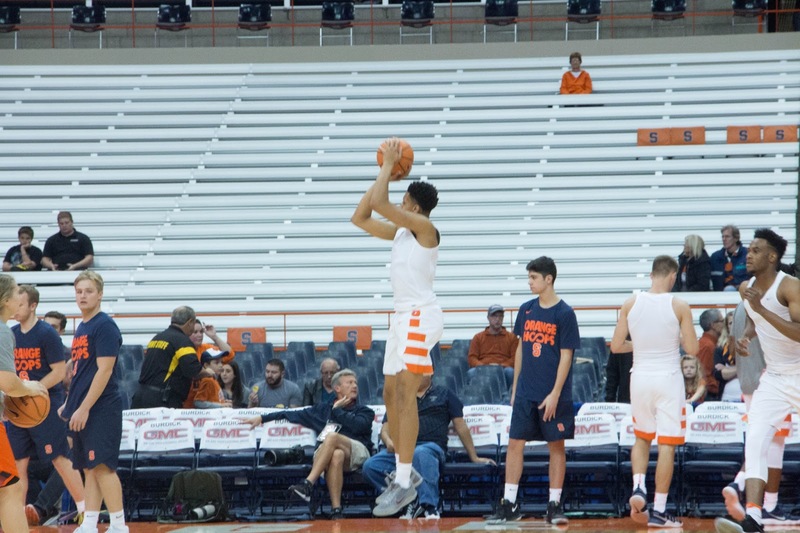 The Orange will kick off the regular season this Friday at the Carrier Dome against Cornell University at 7 p.m..
Jim Boeheim’ son Jimmy is expected to make his debut in the game starting at forward for Cornell. 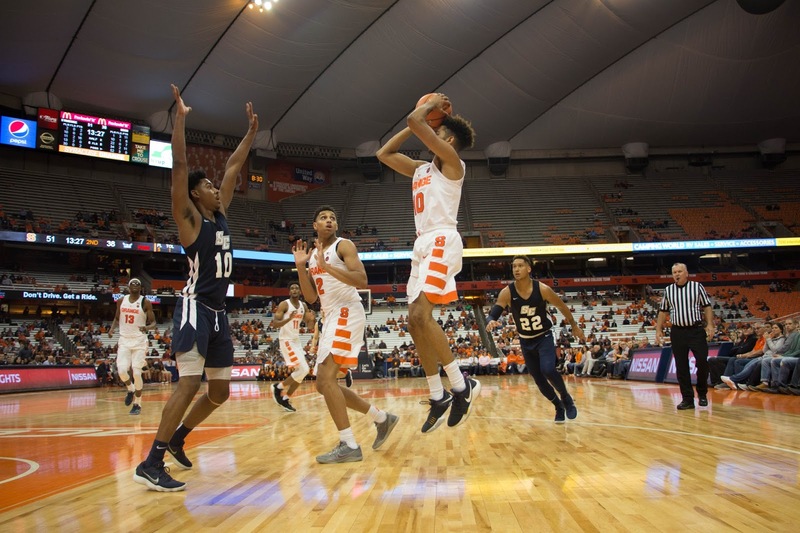 The Owls’ next game will also be their season opener on Wednesday Nov.15 against the College of Saint Rose.